Cash for Cars in Montana - We Buy Cars Fast! If you thought that selling your car was going to be easy like a morning walk through the Yellowstone Park, then you’ve got another thing coming. Most car buyers in the business thrive off making the car-selling process tough on you. They’ll spam your phone, haggle down your fair price, and make low-ball offers. Don't waste your valuable time - go to a buyer that will turn that unwanted or less-than-perfect car into fast cash in your pocket. CarBrain is here and ready to help you! We’re proud to be the smart way to sell your car! We’ve used our team’s 30 years of car-buying experience to create the CarBrain price engine. It’s designed to make offers on most cars in just 90 seconds! And if you agree to our offer, we’ll tow it for FREE and deliver the payment in just 24 to 48 hours. To get started is easy - just click here! CarBrain has service throughout most of Montana. We’re partners with some of the largest tow companies in the business to ensure that we can pick up your car near Billings, Missoula, Great Falls, and other cities near you. We’ll deliver the payment directly into your hands and tow the car for free! Our process is quick and easy - simply submit your vehicle through the CarBrain engine and let us take care of the rest. Click here. Who Buys Cars In Montana? Whether your vehicle was totaled and wrecked in an accident or has mechanical issues, it's important that you choose the right buyer. You want someone that can provide you with exceptional service and a fair offer. Although there are many buyers in the business, they do not all want to purchase a damaged car for many reasons. The cost to fix the car can be unknown until you start the repairs and that can cost you more than what the car is worth. You don’t want to deal with strangers swarming your phone with calls and texts requesting to see the car. You’ll just meet with them and haggle over your fair asking price. Imagine how much time you’ll waste trying to sell to a local private buyer. The longer you wait to sell your car the more you're going to lose when you do. Car dealerships won't even consider buying your car let alone if it's damaged unless you buy a car from them. These trade-in deals typically benefit the dealer and if you don't push and haggle, your not going to get a good deal. In fact, you might sell your car for much less than what it’s worth. If you’ve tried selling to scrap or junkyard, then you’ve probably already seen their low-ball offers. That's right, junkyards are in the salvage business and the offers they give will be for a vehicle's salvage value. They don't care if it has premium features like a navigation system or leather seats. 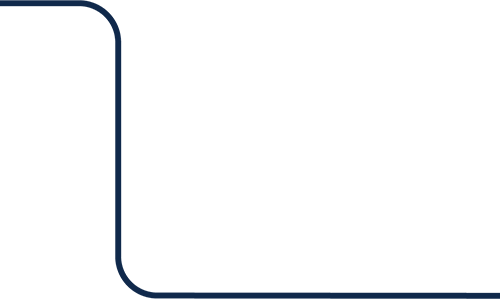 Here at CarBrain, we know that the competition will make the sales process difficult for you in hopes of getting your car for a cheap price. That's why we’ve created the smart way to sell your car. Most of the cars we buy will get an offer in just 90 seconds! On top of that, we’ll tow it for free with your payment delivered to your hands in just 24 to 28 hours. If you're tired of waiting to sell your car, then there are a few things you need to do to ensure you can get best cash for your car. Countless deals and offers fall through because the seller was not ready when the time to sell came around. Have a complete car. No matter what types of issues your car has - whether it’s collision damage from an accident, mechanical issues, flood damage, or even if your car just stopped running - always make sure to leave your car with all its original manufactured parts. Even if the parts are damaged, the buyer always wants the car as complete as possible. Have a set of keys. A car with no key is like a horse with no saddle. Make sure you have at least one key when you sell your car. Some keys can cost hundreds of dollars and no buyer wants to incur that cost. Not having a key can negatively affect your offer, so be sure to always have at least one. Make sure to have all the documents. If the offer you were looking for finally came around, you must make sure that you are ready to accept the offer and get your cash right away. In Montana, all you need is the title signed and notarized for the car as well as a valid form of ID. If the documents are not ready when the offer comes around, you might lose out on it. It can take a month or more to get some of these documents replaced by the state. By that time, the buyer’s offer could change or disappear. CarBrain is here to help. With thousands of cars purchased yearly, we have made the process to sell your car a breeze. Our CarBrain price engine is ready to make an online offer for your car in just 90 seconds, and we’ll tow it for FREE. How Fast Can I Sell My Car in Montana? CarBrain has broken this process down into three easy steps. With tow coverage all across most of Montana, we can help you sell your car today. 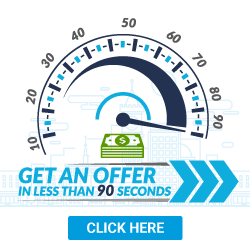 We’ll make an offer on most vehicles in just 90 seconds. Don't waste anymore time. Get your offer today - just click here. If you don't want to spend your days answering calls and texts from strangers, letting them test drive your car and haggling with them for a price that doesn’t hurt too much, then CarBrain is for you! 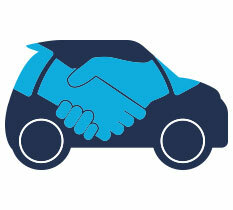 We’ll give you a fair cash offer for your old or unwanted car. On most makes and models, it’s almost instant. Don't wait around for that other buyer to show up. Submit your vehicle today for an offer. Just click here. We provide free towing to any of our Montana locations. What should you know before selling to a junkyard or private buyers in Montana?